The Jatravartids [..] are small blue creatures with more than fifty arms each, who are therefore unique in being the only race in history to have invented the aerosol deodorant before the wheel. A funny line, and while it is certainly true that humans invented the wheel a long time before deodorant, it might surprise you just how old commercially-available deodorants are. 130 years ago in 1888, an unknown inventor came up with a waxy cream containing zinc oxide which had antibacterial properties which could help to suppress body odour. 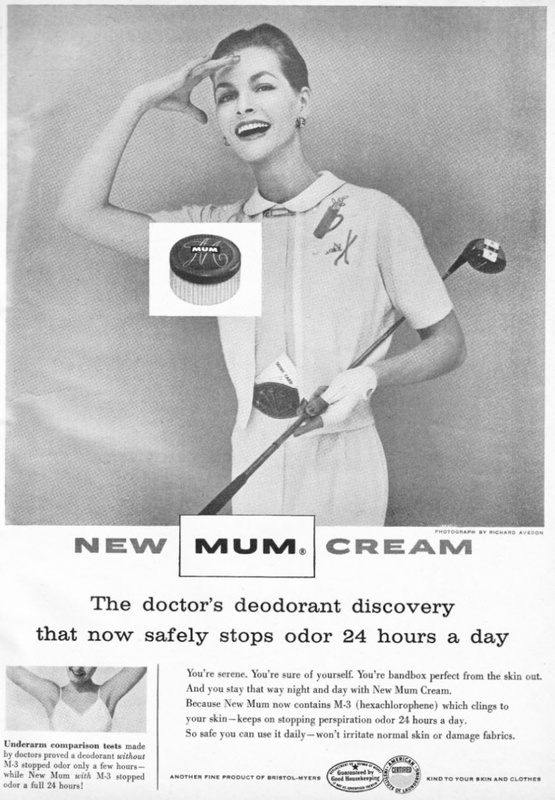 The product was named “MUM” after the nickname of the unknown inventor’s nurse. Development of the product continued, and by the 1920s it came in small tins promoted by advertising. The first big technological breakthrough came in 1952 when the roll-on deodorant was invented, inspired in part by the ball-point pen, and in many markets worldwide this became the product that “Mum” was most identified with. Although pedantic Jatravartids may point out that aerosol deodorants were not invented on Earth until the early 1960s, the deodorant has been around for as long as the motor car and significantly longer than the aeroplane. So here’s to that unknown inventor, whoever he or she may be… and thank you for making the world a somewhat more fragrant place.